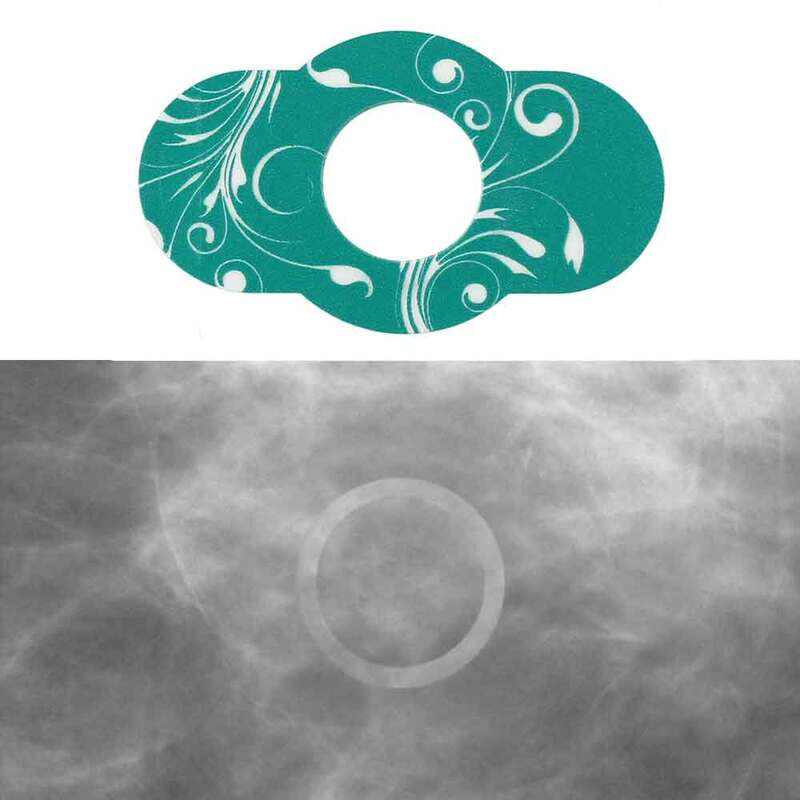 PDC Healthcare has introduced a new line of three-dimensional (3D) breast tomosynthesis markers for use with patients having mammograms. The Spee-D-Mark™ 3D markers help radiologic technologists mark moles, scars, palpable masses and other areas of concern with minimal artifacts. They have been designed specifically for use when performing 3D breast tomosynthesis, according to the Valencia, CA, company. Four new types of markers are being offered in the Spee-D-Mark product line. They include mole markers, scar markers, markers for non-palpable areas of concern, and markers for palpable masses. The markers are made of lead-free and latex free material. Each marker is radiolucent when “in slice” to limit obscuring of breast tissue and barely visible when “out of slice”. PDC Healthcare states that these economically priced markers can also be used when performing conventional two dimensional (2D) digital mammography examinations. PDC Healthcare introduces new line of breast tomosynthesis markers. Appl Radiol.